Click the image above and then right-click it to download a copy. then the start of the month before the next quarter starts is a great time to get this kind of planning done. (Which is why I’m doing planning for the Oct-Dec quarter at the beginning of September). And, of course, any other periodic structure that works for you is just as good. You might already know that people generally tend to under-estimate what they can achieve in the long-term, and over-estimate what they can achieve in the short-term. One of the consequences of this tendency is that it’s really important to plan what you want to achieve in a cyclical way. To look at both long-term and short-term, and to link those together. Longer-term planning needs some ambition and vision. Shorter-term needs more realism. I’ve written before about how you might use the Rule of Threes to help with this. Another way to think of it, is as a series of linked S-Curves. Any project managers reading this will be familiar with the concept of the ‘S-Curve’: a graph showing how costs, labour hours, profitability or outputs in a project typically flow over time. Slower at the beginning, accelerating in the middle and slowing down again towards the end. There may even be downward slopes at the beginning and again at the end, as the rate of the input/output measure tends to drop at those points. 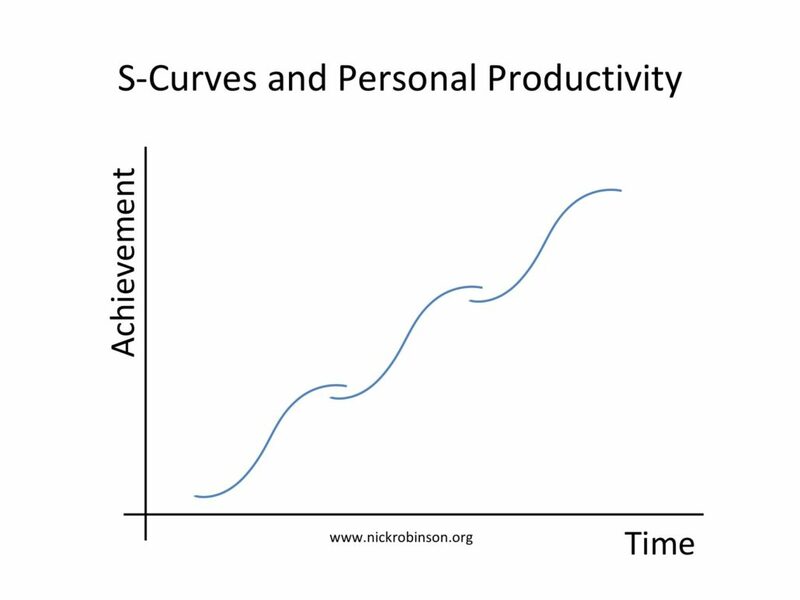 If you can take the time each quarter to refresh this work and to intentionally plan the priorities and achievements that you want to focus on then, over time, you’ve got more chance of your overall achievements building into a kind of much bigger cumulative S-Curve. This is how small, regular progress builds into quite significant longer-term progress. I think it’s the accumulation of achievement in this way that’s behind our tendency to under-estimate just how much we can achieve in the longer-term. I often feel in this kind of planning process that the joy, spirit and motivation can all too easily get sucked out of the whole thing. Even if you’re somebody who does get excited about the planning part, it’s just as easy to lose heart when the weight of everything that needs doing becomes clear. Again, this is why it’s so important to approach this in a cyclical way. In the longer-term, a great deal can be achieved. In the shorter-term, we have to be realistic about what’s possible and find ways of motivating ourselves about it. I’ll leave you with some thoughts about stuff that does seem to help with that motivation part. How do you want things to ‘feel’? What’s exciting, attractive or rewarding about your priorities? 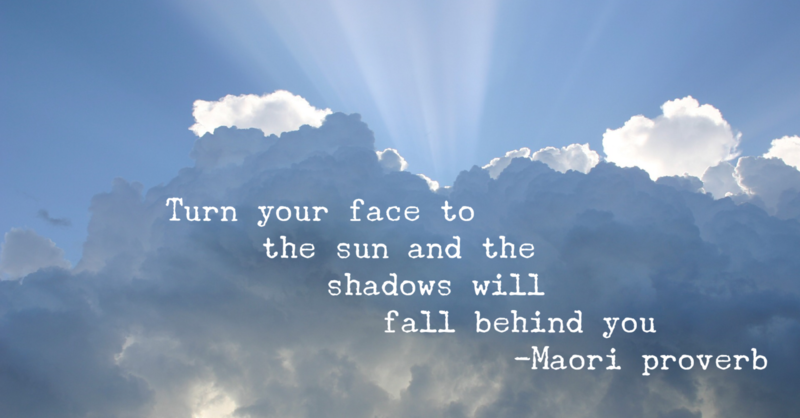 What needs to happen in order to stop the sky from falling in? What does it look like? 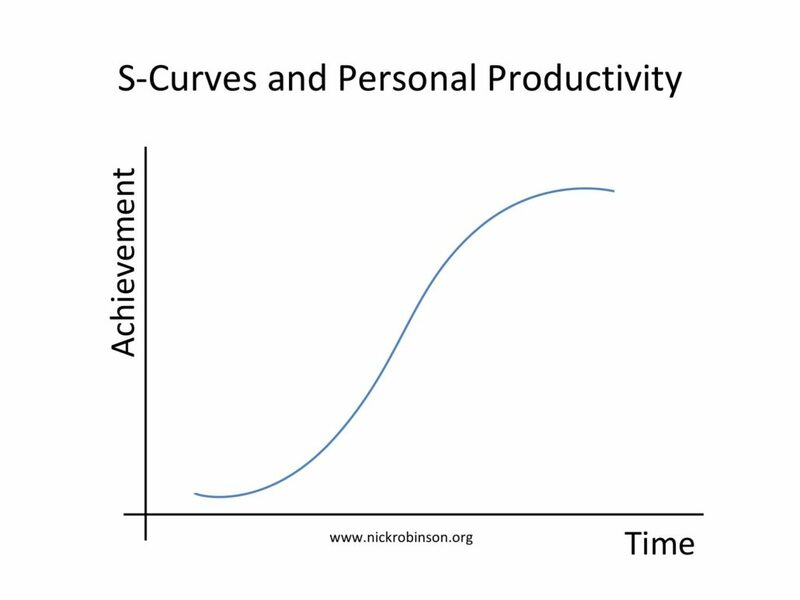 I mean, if we could jump in a time machine and travel forwards to when you’d achieved it, to the end of that S-Curve, what would we see, hear or feel in relation to each of your priority achievements? How will you know when the end-point of an S-Curve has been reached? Let me know how you get on please. What are your priorities? What timescales work for your regular planning and focussing? What do you personally mean by “overcoming obstacles”? What would you see, hear or feel that lets you know you are overcoming obstacles? 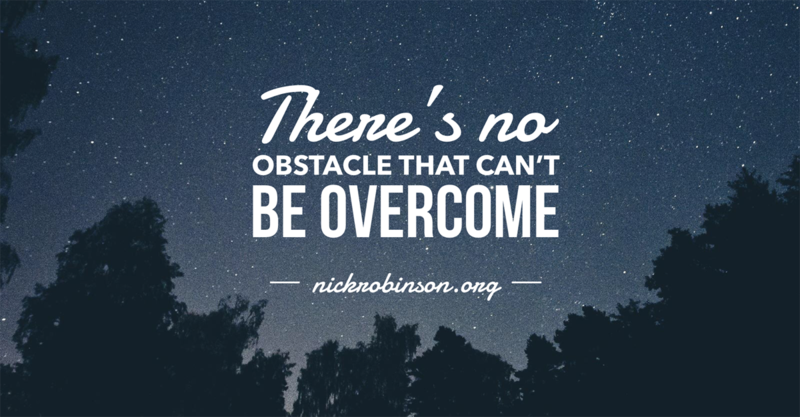 When you are overcoming obstacles, what is important to you? What is necessary for there to be X? What does X lead to or make possible? Write down as much of your answers as you can and keep coming back to them to get a deeper feel for what’s important to you around overcoming obstacles. If you can, explore these questions with other people too. 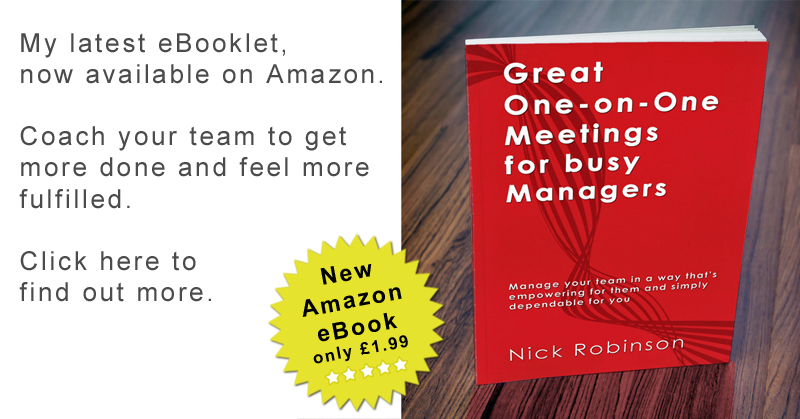 It’s a great group exercise too, so if you want to lead a session with your team, have them work through those questions in pairs. Think back to previous times when you’ve overcome something difficult. How many of the factors I’ve asked about in the questions above were present at that time? What else have you learnt from previous experiences when you overcame obstacles? Also, what might you need to Unlearn? There’s even more you can do to embed these beliefs and empower yourself, including some of the less transformational but more practical things like, what do I actually need to DO. Have an experiment yourself and go overcome stuff! I said in the heading that this is only the second most important thing that any leader should believe. That’s because you can’t get anything worthwhile done without overcoming obstacles, BUT even a cast-iron belief in doing so only gets you so far. It’s like repaying a debt. Okay, you clear what’s owed, but having overcome that obstacle, now you’re just back at zero. At square one. As well as believing they can overcome obstacles, great leaders also believe that they are doing something worthwhile, something that makes a difference. Having overcome obstacles, that belief in making a difference of some kind gets you beyond zero and into plus territory. And that’s where the cool stuff is. I’m having an interesting experience of this at the moment, planning some expeditions for kids, the first of which goes out a week or so after I write this post. I’d set “Watersinks Car Park” (see picture) as the finish point. In my memory, this was a lovely spot and I had enjoyed walking there. So I was quite surprised to discover, when I drove there last weekend for a final reconnoitre of our routes, that it is really quite some distance out of the way for cars! The significant of this is that although it’d be fine, even a fun exploration, for the kids to hike there, for their parents coming to pick them-up by road, it might be tricky. There’s no mobile signal, it’s not on most satnavs and it’s a lot smaller than I remembered! It made me think about the assumptions I was having to make about those parents’ capabilities. How good might they be at navigating by map and driving? How they might feel about driving for quite some distance, with a significant height gain (and down again) along narrow, single-track lanes, especially if the weather is bad or the car park gets full? How long might the other volunteers and I spend waiting there for people to collect their kids, with no mobile signal, no refreshments and no toilets!? In the end, I decided to move the finishing point to somewhere (slightly) more practical. But that doesn’t come without a price. It’ll mean the kids (and potentially us adult volunteer leaders) having to trek for a couple of extra kilometres and add another 80/90 metres of ascending for them. I chatted it through with a couple of people who know their stuff, and they agreed this was better, but it’s still my decision, my responsibility. And I know that I’ll still get some people (parents and kids) moaning about or struggling with the revised finish point. 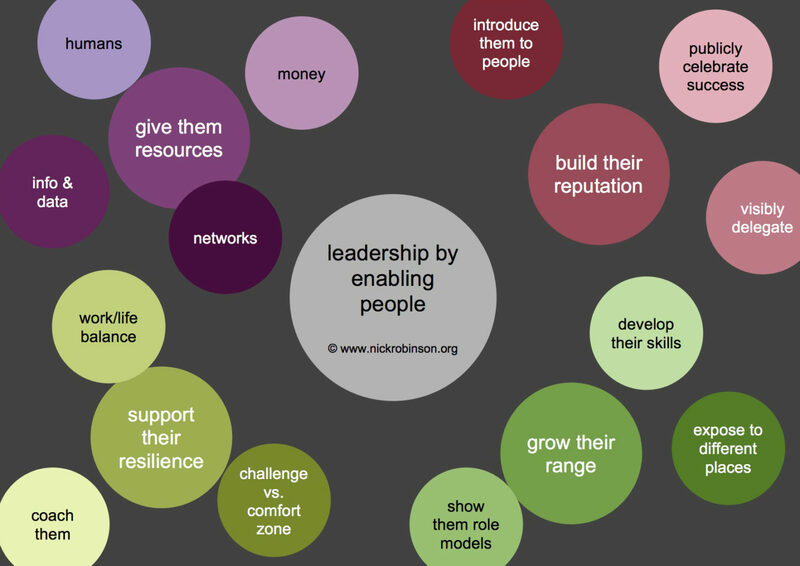 How do you decide how far you can ask people to go, in a work context? Be prepared to deal with some complaints and give a hand to those who need it. How do you know how much to compromise – and what kind of price is worth paying to get most people to the finish line, even if you don’t quite meet all of your initial ambitions? I have some previous experience with some (although by no means all) of the parents involved. So I think my assessment of their capabilities and attitudes, on average, is probably about right. At work, do you have enough understanding of people’s capabilities and of their current state of mind, to be able to judge how much you can ask of them? One of my first thoughts, when I realised where this car park was, was to take the parents out of the equation altogether and use a couple of mini-buses instead to transport the kids ourselves. And I might do that if we want to get further off of the beaten track next year. But, for now, the mini-bus solution didn’t quite sit right with me. It’d mean me and one or more of the other volunteers doing even more work. And it’d mean less responsibility for parents, who (mostly) really enjoy getting involved. When you’re asking people to go some way for you at work, how do you balance those kind of involvement and workload issues? I say, let’s be as ambitious as possible AND balance out as many other factors as we can. Perhaps the only way to get this dreadfully wrong is to not think about it intentionally in the first place! 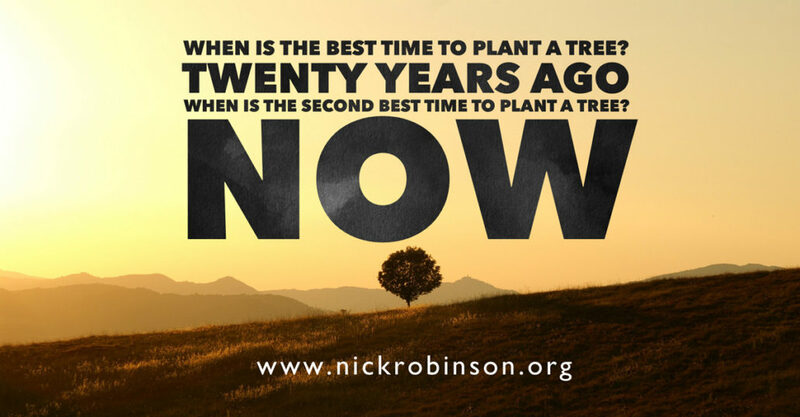 http://www.nickrobinson.org/wp-content/uploads/2018/04/Watersinks.jpg 321 845 Nick http://www.nickrobinson.org/wp-content/uploads/2017/03/NR-Web-Logo-trans-3.png Nick2018-04-25 15:44:162018-05-10 08:52:43How far can you ask people to go? Fear is a very powerful motivator, a useful survival trait and a handy source of energy. But if you let your fear run the show entirely by itself and make your decisions for you, it has a nasty habit of becoming a self-fulfilling prophecy. Once you can see your fears for what they are – a useful mechanism for keeping you safe – then you can decide for yourself what to do with that information and, crucially, what is the bigger picture of what you actually want to have happen. I’m a big fan of leaders who make it their primary purpose to help other people get stuff done. Download your copy of the image above (click and then right-click to save it) to see the big four R’s of leading by enabling others, together with some of my suggestions for how you might actually set about doing that. Imagine this: What you love doing takes less than 10 seconds and you rarely get to do it! I write this shortly after watching “I am Bolt” – the sports documentary about sprinter Usain Bolt as he prepares for the 2016 Olympics in Rio. Whether you’re a fan of sports documentaries or not, I think you might enjoy this really captivating film about a very charismatic athlete. There was lots of useful stuff in the film for me, particularly about the joy of doing something you’re great at, and I’ll write more about that in future. One part of the film that really struck me was Bolt’s hatred of training. He says it again and again: “I love to run, I hate to train”. This from a man whose actual competitive event is over in less than 10 seconds! Imagine that – the thing you love to do is over in less than 10 seconds, you probably don’t even get to do it competitively more than once a week, maybe much less, and to do it as well as you know you can, you have to do something you hate, again, and again, and again. And you don’t just have to do this while you’re becoming good at your thing; you have to train and practise all the way through, even when you have multiple Olympic gold medals. Even when you are the best in the world. I’m quite inspired by this. I’m looking around seeing if I can re-frame all the stuff I hate doing to be the equivalent of “training”, for the 10 seconds I do love. Does it help, do you think, this kind of reframing? I suppose you’ve got to know what the thing you love doing is, so that you can tell which bits (the ones you hate) are just necessary “training”. And then you’ve got to decide if the thing you love doing is worth dedicating yourself to. Not just so that you can be the best in the world – most of us never get the chance to measure that in any meaningful way. But so that you can be the absolute best version of you, doing what you love to the absolute best of your abilities.